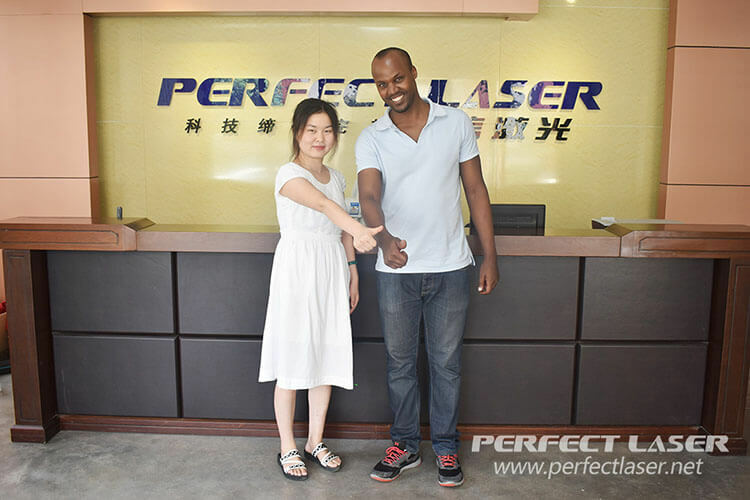 July 4, 2017, the customer from Rwanda visit Perfect Laser to see our channel letter bending machine, laser welding machine, mixed laser cutting machine and acrylic vacuum plastic machine, the staff expressed a warm welcome and launched a meticulous reception work. Accompanied by the international clerk Maggie, the customer visited the company's internal work environment, as well as into the factory to practice the proofing process of channel letter bending machine and laser welding machine . After further understanding of the Perfect Laser high-quality and cost-effective products and our quality service, and after a long time business meeting with our international clerk, the customer signed the contract of a channel letter bending machine, laser welding machine, mixed laser cutting machine and acrylic vacuum blister at the sence, and expressed the hope that want to establish friendly and long-term cooperation relationship with Perfect Laser. Perfect Laser has been committed to the production of research and development to meet the needs of our customers, the high-quality products and services is widely acclaimed in the domestic and foreign markets.